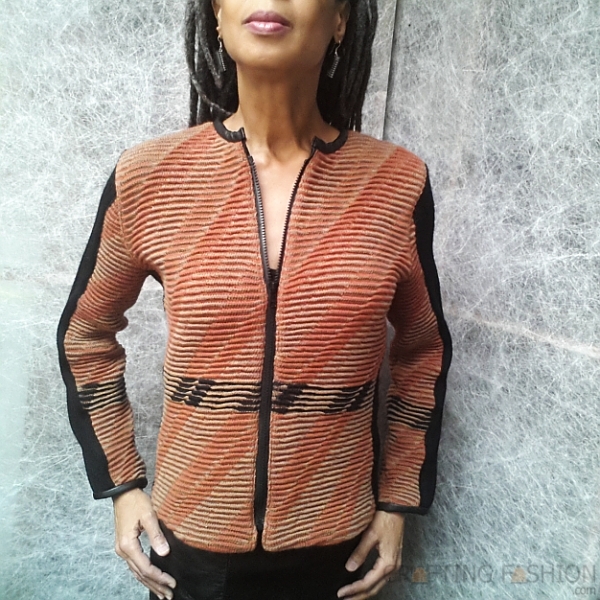 The Zipper Ripple Jacket is finished. Mostly. More on what's left to do later. Here are some pics. Here are a couple of close ups. Now for the reason I say it's "mostly" finished. 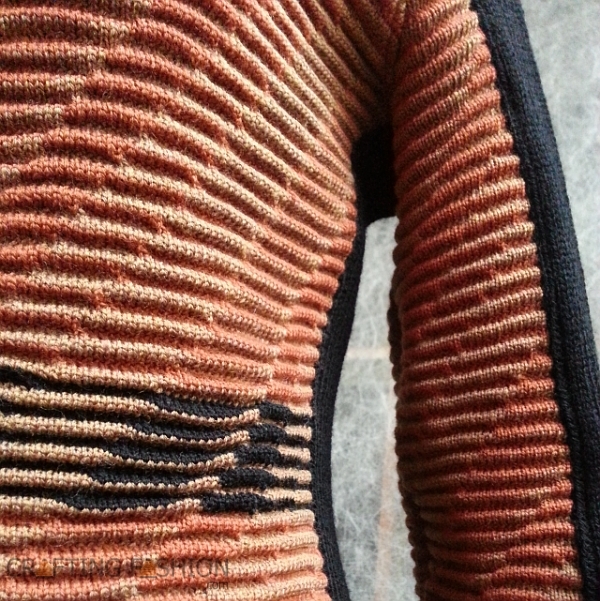 The picture below is the inside hem where it meets a black side panel. 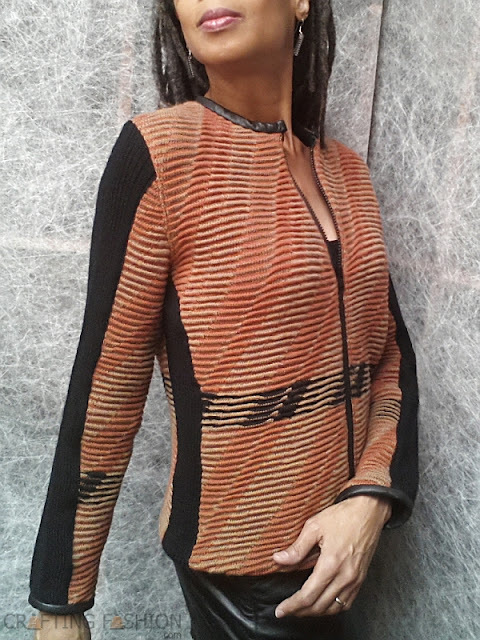 As I've mentioned previously, though I used my own pattern block, the jacket was inspired by this BurdaStyle pattern. I tried to plan all my variations ahead of time, but I forgot that I might want to finish my inside seams -- more than just serging and top stitching. After all, the inside of a jacket does show from time to time. At some point I'll hand sew a narrow binding to cover the seams, not quite the technique I would have used had I planned this a little better. I won't use my fabric as I did with the hem binding. 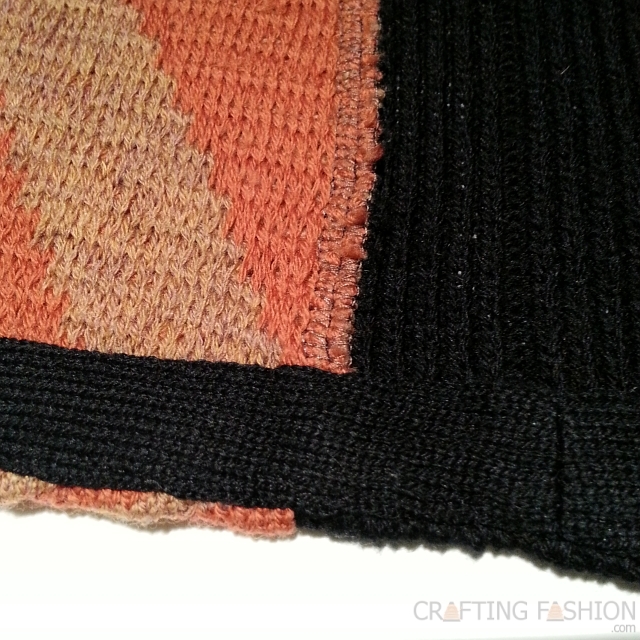 I'll most likely make the binding out of the black (factory knitted) rayon I have stashed. 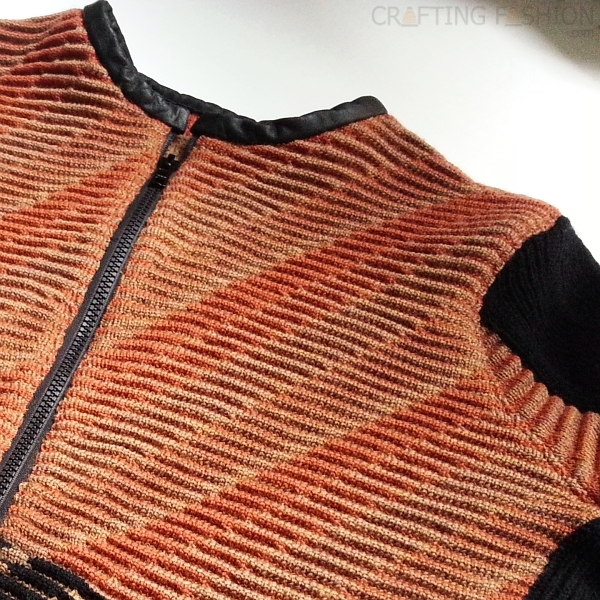 I'm always thrilled when the finished garment ends up the way I imagined. And I don't care that it may have just gotten too cold to wear it outside without a coat. I'm wearing it anyway! The jacket is absolutely gorgeous! Wow, I love the ripples!! The jacket looks so nice and I love it paired with the zip. It's so perfect!